3-Prong Power Cord with Open Wiring - 6 ft. This black NEMA power cable with a bare end is designed for special power applications when custom device wiring is needed. It has a NEMA 5-15P male U.S. 3-prong power plug on one end and open wiring on the other end, allowing users to rig and terminate as needed. 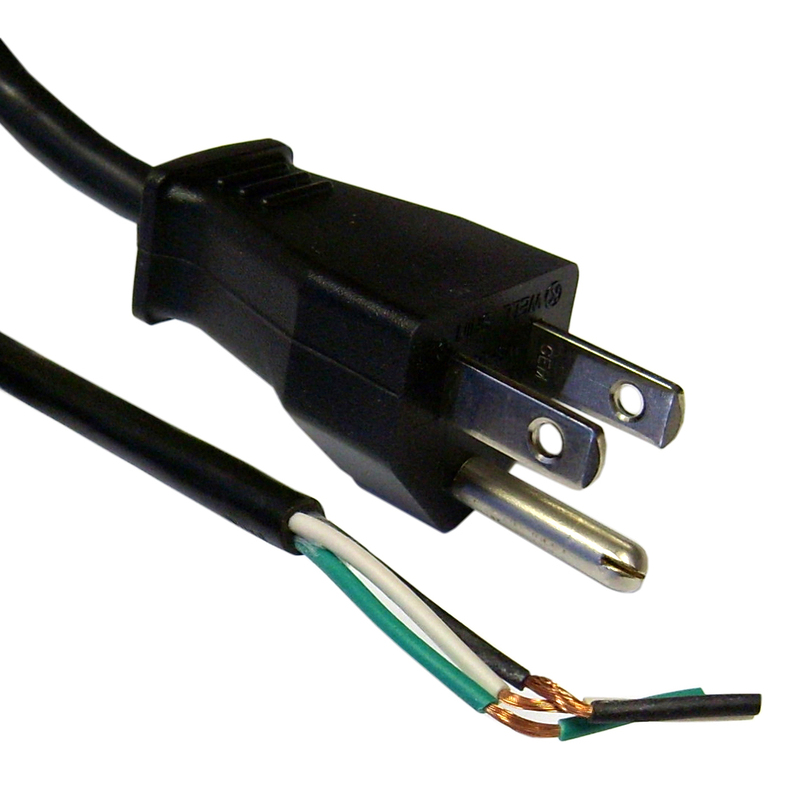 At 6 feet in length, the 3-prong open cable is compatible with any device that requires up to 125 volts and 10 Amps of power. Our full technical support will assist you in setting up this NEMA power cord. This 3 wire power cord is well constructed and is made with 18 g wire making it easy to use to replace old 2 conductor power cords. The 3 wires were already tinned with solder when the item arrived in the mail.